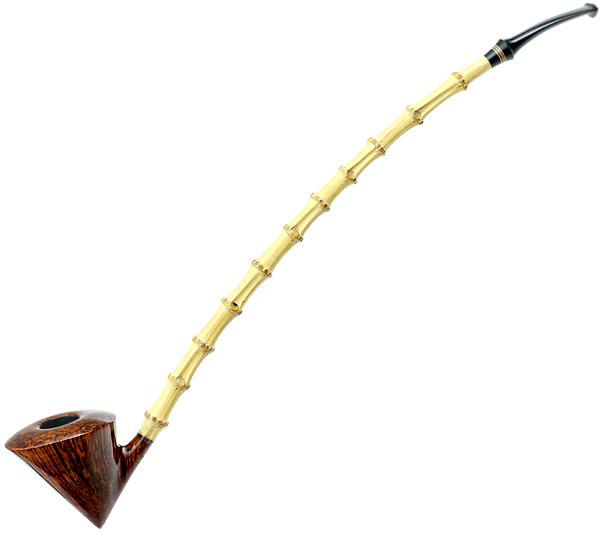 I know mikethompson and maybe others don't favor bamboo as a pipe material. I certainly respect others' taste, and if it's unappealing to you, it just is. 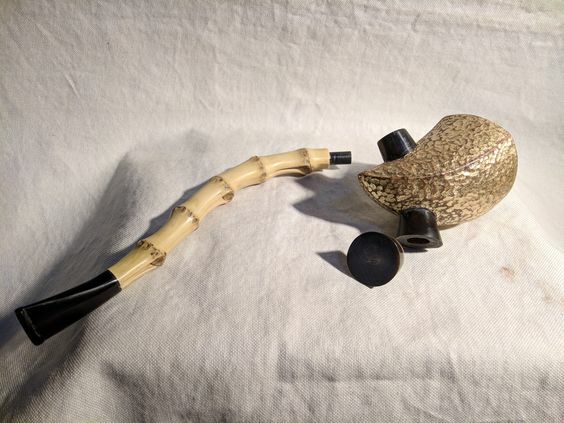 I never owned a bamboo shank pipe, and might never have gotten one, but fishnbanjo posted so many beauties featuring bamboo that I relented somewhat, such that I bought a bamboo shank pipe from the late great Bob Hayes at the TAPS pipe show in the last hours of sales. 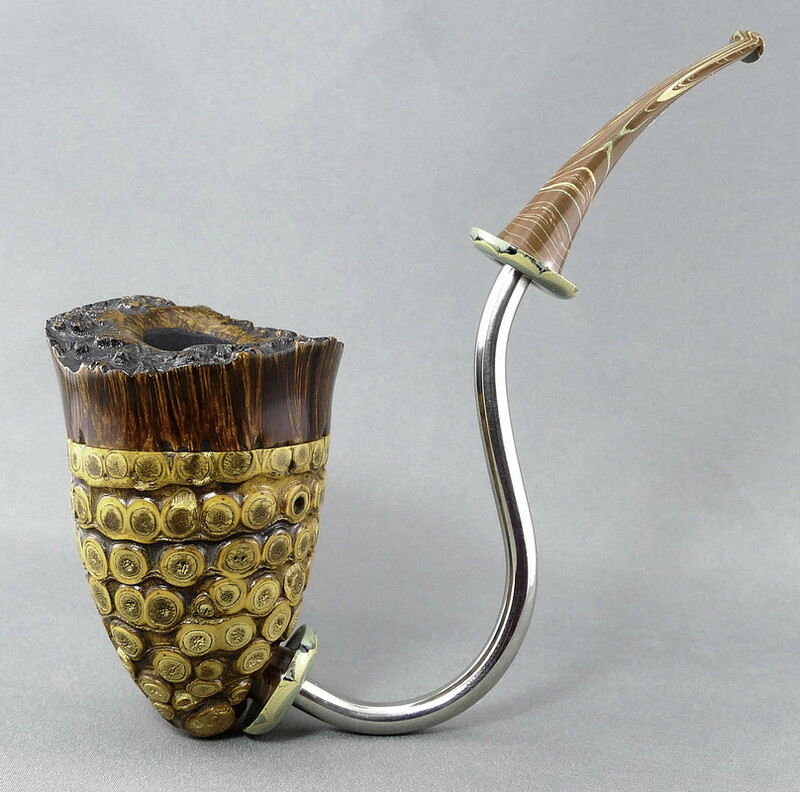 He made me an offer I couldn't possibly refuse, and the pipe is excellent. No, I haven't bought any other bamboo shank pipes, but between fish' and the late Bob Hayes, they now have a special place, one place, on my rack. I personally like the look of a bamboo shank. My issue has been that they always seem to have a metal rod through them for support. See, one of the beauties of bamboo and why it is used on the kiseru pipe in Japan is that they are a natural filter and absorb moisture. If you block out the bamboo with metal I am not sure why we are using it, but for aesthetics alone. So my only bamboo pipes currently are kiseru pipes. 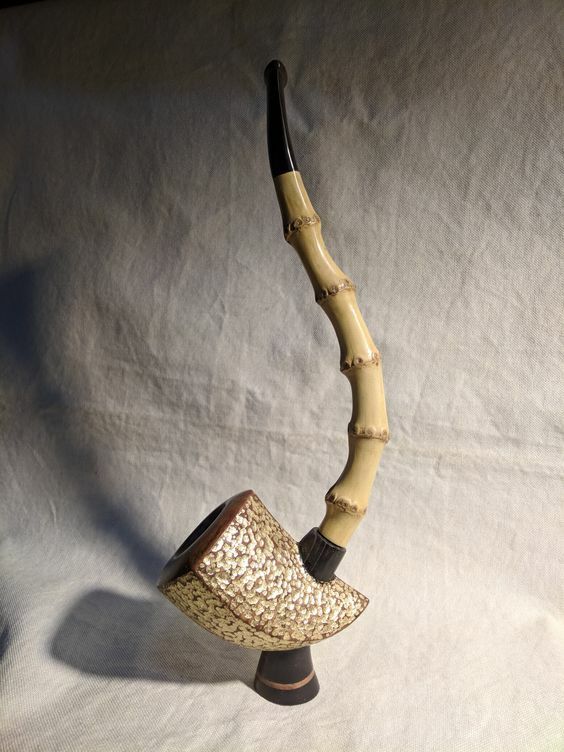 I find that bamboo can greatly add to the artistic beauty of a pipe. It opens up a whole new avenue for pipes. It took me a while to warm up to bamboo shanks. But I now have a few and love them. They are lighter weight for sure. And bamboo is fun to photograph, lots of character and nuance. But in a way it's like true love, it has to feel right and the heart wants what the heart wants. I'm a diggin the boo. To me they have that Gilligan's Island feel to them, and I like to accompany my bamboo shanked pipes with a frozen concoction in a coconut shell, a vintage white antique radio, and a redheaded in a bikini. Cheers!! Ash, that Alden is gorgeous. But a follow up to MSO489's OP. What do you all think about the new age Roman Kovalev, "Doctor's" pipes style bamboo shanks? I have not warmed up to those as much. And I see lots of people going for that style lately. I love this shot of bamboo from a pipe workshop/studio. Just waiting to be picked over for production. Bamboo between briar and a black bit is as jarring to me as colorful acrylic bits. My eyes simply do not like such. Cosmic, I hope that isn't you in the bikini. 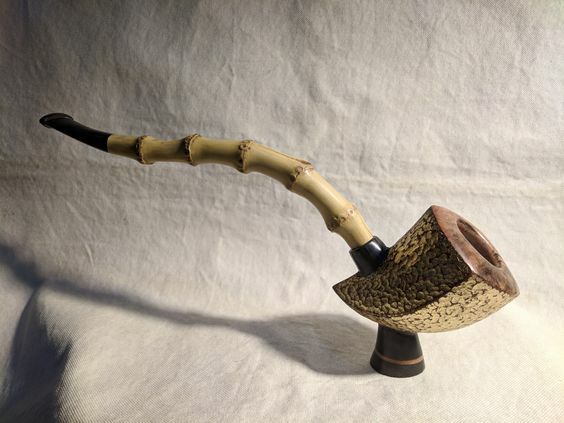 Following up on warren's post, I think bamboo for a shank is a high level of difficulty in getting a pipe to integrate well visually, so it doesn't look like various pieces pasted together. I think that's what sold me the Bob Hayes pipe, beyond the price. Bob Hayes was an artist with his carving and got it just right. 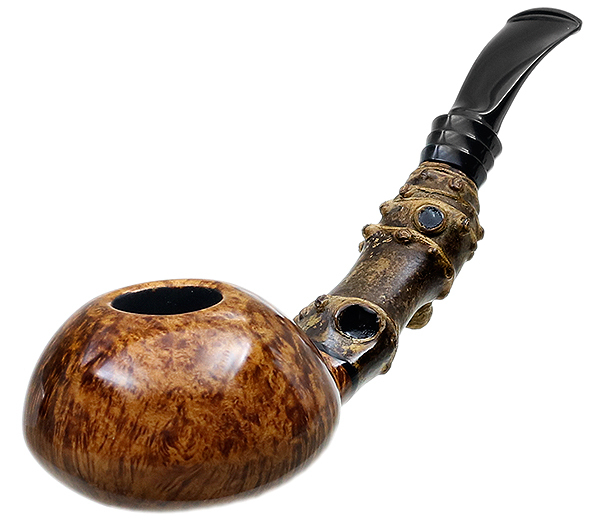 When it works, it is pretty remarkable, but I've seen some high-end pipes where they just don't get it right. More don't than do. Go ahead... try to hate them. You heard me! TRY, I say!!! I don't get too emotional with regard to pipes. I don't hate bamboo accents but, I'm certainly not enamored with them either. To me they look "cobbled " together. Even with outstanding workmanship they are still off putting to me. I can admire the craftsmanship but, not the "look." Only have one but really enjoy it. 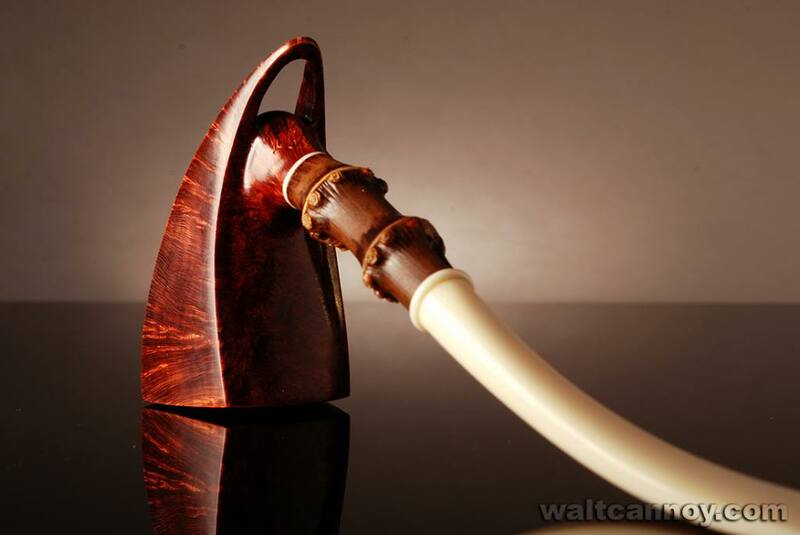 npod, I have all kinds of bamboo shank pipes of various genus of bamboo. I think Roman Kovalev (Dr’s Pipe) shows off his bamboo skill in choosing a particular shank to fit the bowl he is working on, his stem work is beyond reproach and his integrated bronze adapter fitting is unique as his acrylic work filling the bamboo leaf nodes. 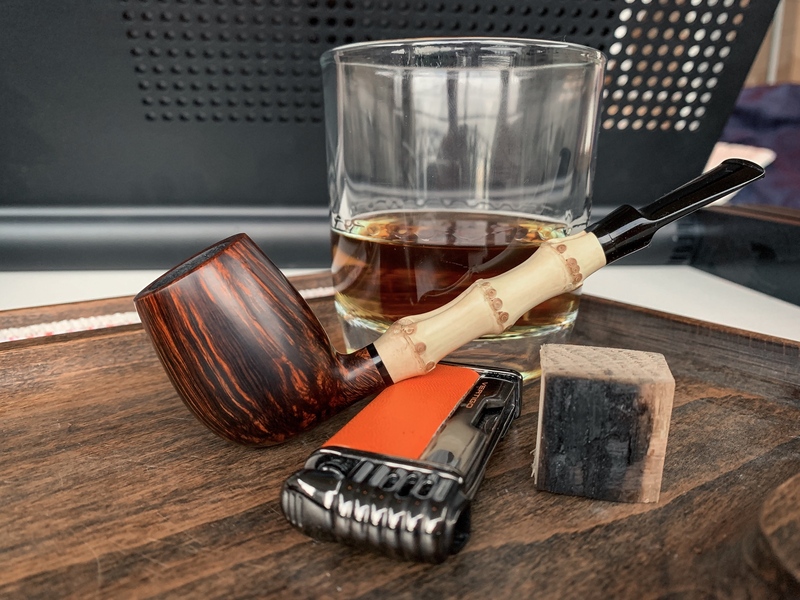 The smoking quality of his pipes is well regarded and I found myself putting his Crazy Army Apple with bamboo shank into my rotation after just the third smoke, regards. 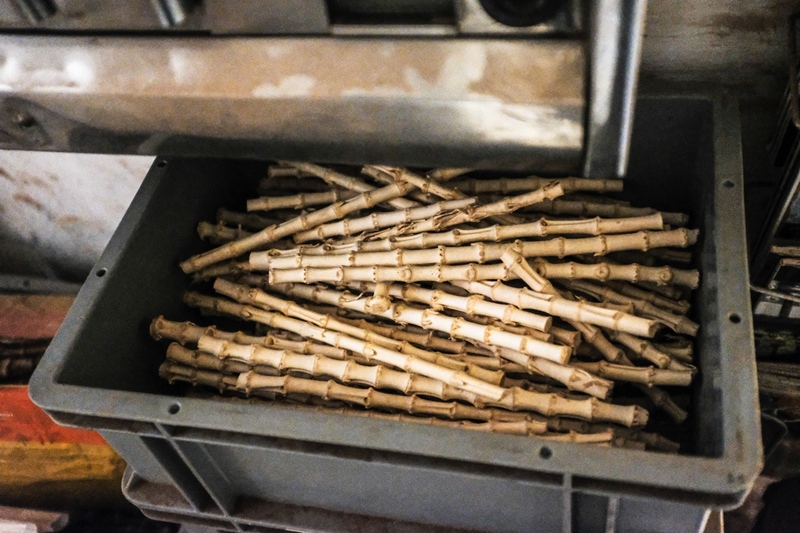 I wonder if anyone has ever made a stem using bamboo strips like hollow rods are built? Fishbanjo care to way in? Yo fishb - re your "choosing a particular shank to fit the bowl he is working on" comment, sometimes it works the other way around. One evening at Morley's, I witnessed a fascinating exchange between our DrG and Jeff Gracik, who used to be a Morley's member before he moved to San Diego and set up J Alan. 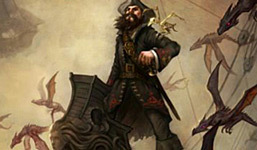 DrG has such a fine collection that the term 'patron of the arts' comes easily to mind. 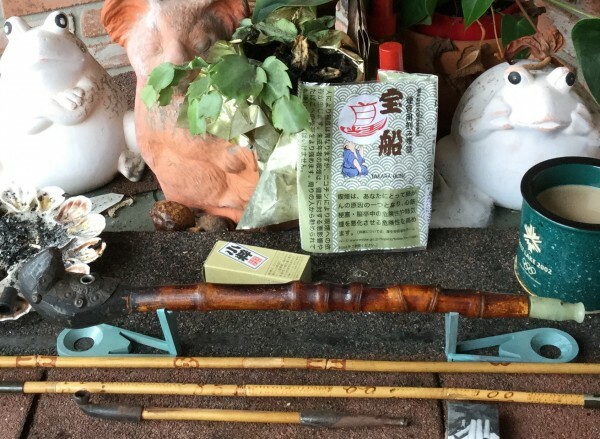 His collection has dozens of bamboo shank pipes and he had just been called when Jeff found several especially delectable bamboo pieces. He sent over pix from different angles and DrG asked how Jeff proposed to use each piece. Jeff then sent pix of several briar blocks, wetted to show the grain and penciled with prospective shapes that would harmonize with each bamboo piece. 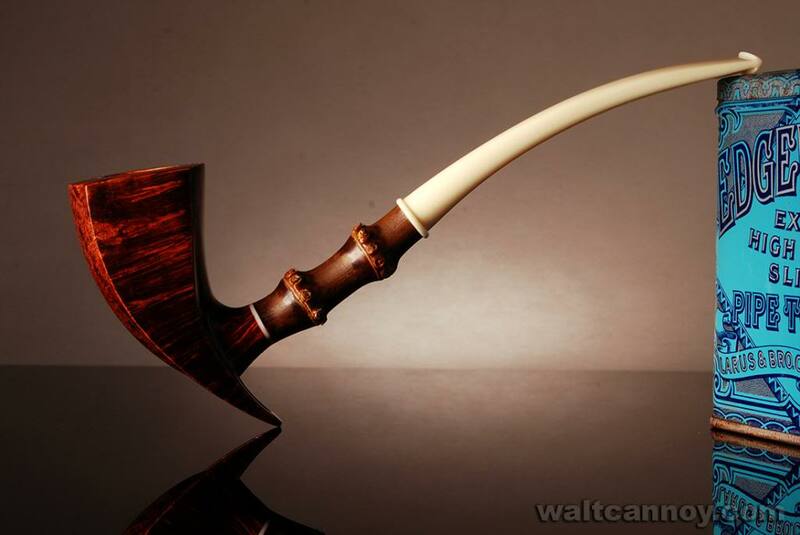 So rather than having the briar or stummel dictate the choice of bamboo, it was the bamboo piece that determined which piece of briar would be carved and with what shape. This is a long way from the old days when bamboo was used to save a stummel that showed up with defects in the shank. Charatan's Afterhours series using smaller ebuchauns with yellow horn or acrylic shank extentions have a similar visual effect. I don't know which came first. Yo tro - I don't know about any pipe with shanks made from triangular bamboo strips, such as used to make cane rods (not necessarily hollow). 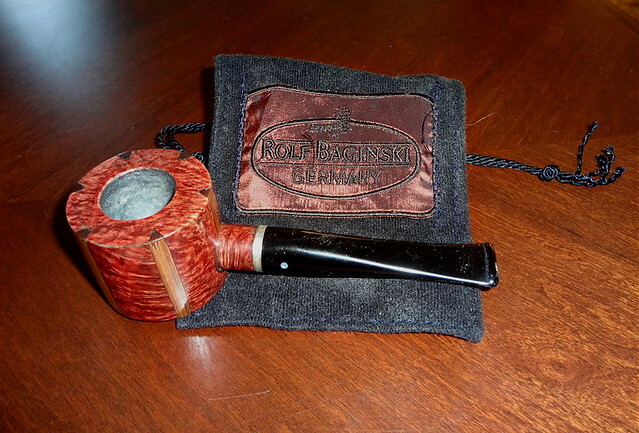 But there is a German pipesmoking cane rod maker, Baginski, who showed up at a couple of fly fishing shows in NJ with briar to which he added bamboo strips. Banjo got one - I never got to the show soon enough to score one for myself. @fishnbanjo, thanks for the props on Roman’s work. I just went from luke warm to more intrigued. I love the novelty of his work and your example exemplifies that in spades. I am starting to take notice for sure. Am rather fond of bamboo as a shank adornment. Have only 1, however, a Nording. 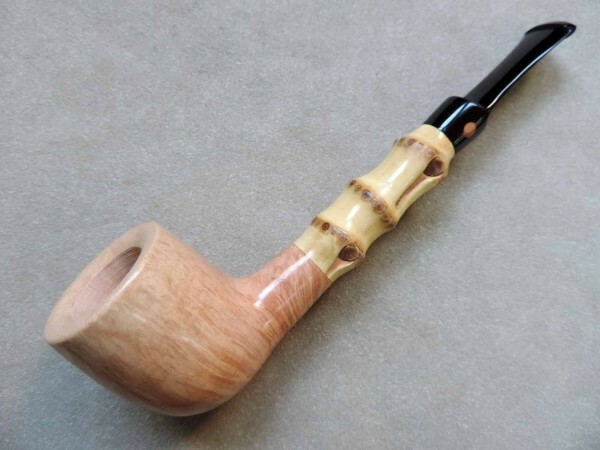 I don’t believe Nording made many bamboo shank pipes, anyone know, thanks. I was under that impression too fish. But then it was pointed out to me that there were actually a few current Nordings with bamboo being offered @ SP. Mine is the hunter pipe, the beaver. Seems Bamboo Shanks are yet another dividing issue, being personal preference. And although there may be some filtering effect I think it's used mostly for aesthetics. Its also pretty strong for a grass and in never-ending supply as opposed to briar so its cost efficiency may render it out of the high end luxury material department for some. Being that I like most anything Asian I'm a fan. A bamboo fan, hee hee. My specimens are sans metal rod thankfully. I Do have A kiseru with the rod and its never sat well with me, although easier to clean that way. I'd take a smoking device derived from plant parts before one from animal parts anyday as well. 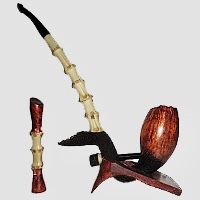 Horn/antler skeevs me out, although once I had a native pipe with an antler bowl and leather wrapped shank that smoked like a dream, lost to the indiscretion of youth. Albatross just seems downright appalling, as much as I would love one of those bc pipes it seems the material may be better suited to drink liquified pate, tiger blood, etc. Lastly, Cosmic thaks for the Gilligans reference. I've previously never made that connection and now will never be able to not make it. RIP S.S. Minnow. I know mikethompson and maybe others don't favor bamboo as a pipe material. 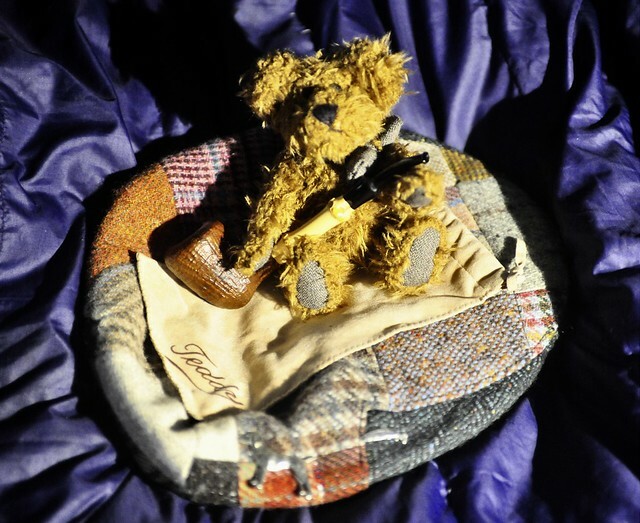 It is just like so many other things in the pipe smoking world: down to personal preference. Yo Banjo - I don't know if Nording made many bamboo shanked pipes, but I have several. The latest one just came from Saatchi this month, but my first one is at least 20 YO. It's a matter of personal likes and dislikes, hardly a decisive issue. I have a Dunhill ring grain that I like to smoke sometimes. It doesn't have a metal insert, as far as I can see into the pipe. I find the lightness of the bamboo makes for a good mouth feel. I don't clench often, but sometimes this sits in the lip without me noticing it is there. 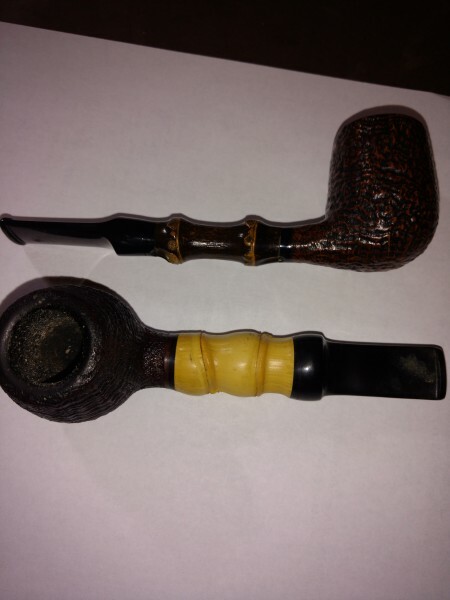 I also have two Tsuge bamboo shanked pipes. They're a much fatter knuckle of bamboo, and shorter, but I think they look fine. Not on the hunt for any more, but I like some bamboo in a collection. I wouldn't buy one, personally, but I can't deny that some of those pipes look pretty spiffy! The aesthetics of bamboo aren't quite my taste, but really I don't much like the idea of adding more complexity and pieces to the construction. I like to keep things as simple and practical as possible without compromising aesthetics. As such, army mounts are more my preference. Either way, buy and smoke what you like, right? I actually really dig bamboo and have many in my collection. Some variations below. Those are some beautiful bamboo pieces peck. They're all appealing but really like the weathered style. Peck - Right On Brother. Wow. Bamboo has good water absorption properties, is a suitable material for stems. Of course, bamboo materials have certain deficiencies, for example, it will become sticky after a long time, causing clogging in the pipeline. So you have to regularly clean the shank after every suction. I find that using bamboo is the best option in some cases: if you need a new form; or need a long body and bend. Here is the pipe I made, besides bamboo, I have not seen any more suitable material. Nice stuff, guys! Most of the bamboo shanks that I’ve seen were disappointing in that they didn’t really do any thing artistically for the pipes they were on. peck's, sable's and other's examples are breathtaking. I rarely gasp a little when looking at photos, but those pipes do it. Like others and I have said, bamboo can look real patchy and corny, but when it's right, it can be spectacular. Bamboo didn't do it for me. 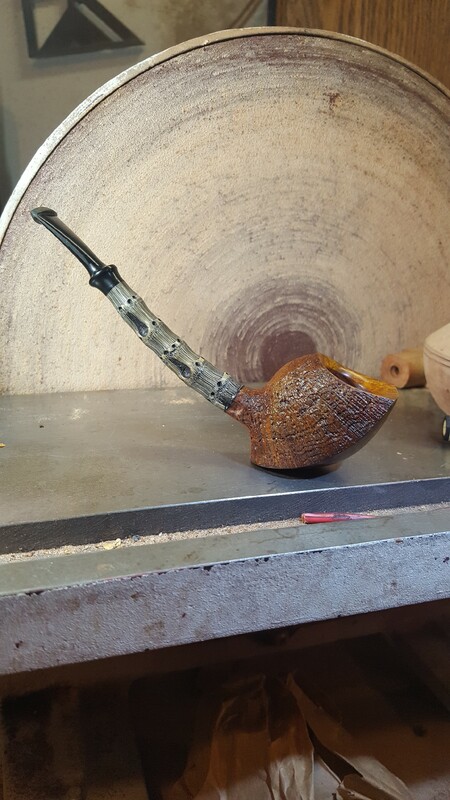 I like pure Briar. Totes agree, Tom. It's like articles of clothing that have some wild off-the-wall element that by all rights shouldn't be on it at all, yet some people actually completely rock it when wearing, whereas on *me* just for example, it'd look as stupid as my smoking a baby corncob -- the first thing you think of is "Popeye!". I never really liked bamboo, as I find in many case the piece of bamboo is put there without much thought or consideration. After a while, mainly after seeing some good examples of pipes from fishnbanjo (mainly doc pipes) I have started to warm up to them. Sadly, most of the good examples are way out of my price comfort zone at the moment. There are some definite beauties in this thread folks, thanks for sharing. The pipe lestrout is speaking about is made by rod maker Rolf Baginski, he sets bamboo sections 60 degrees apart like a bamboo rod is made, I call mine a Poker Chip Stack. Sable the Walt Cannoy is an incredible smoker! Same. Bamboo just looks like an afterthought. So, it's bamboo that DOESN'T look like an afterthought you want, then? There are so many things wrong with that pipe that the bamboo just doesn't even seem like an issue. It's sort of odd that I don't. I love the cork covered Spanu pipes. 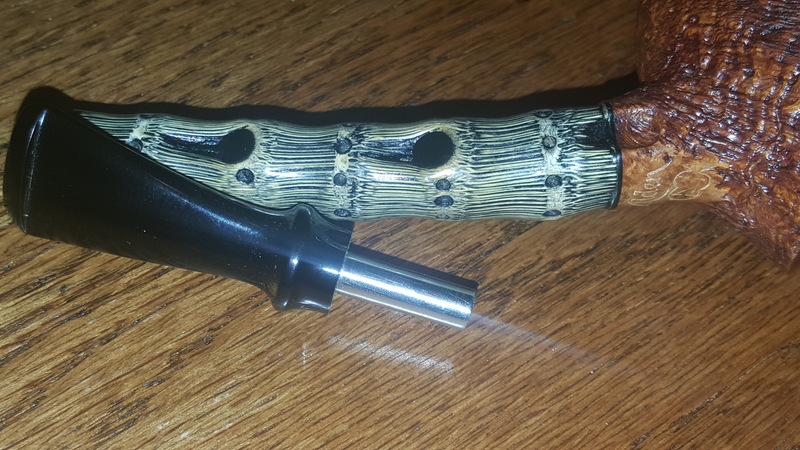 I never liked the look of bamboo shank pipes, But I received one with a lot of estate pipes I purchased and after cleaning it up it's a great smoker. light weight and smokes very dry. It does not have a metal rod through the bamboo. Now I like them a bit more, and with the more modern renditions pictured here I am intrigued buy some of them. By biggest question is how the heck does one drill through the all knuckles with the various bends in the larger pieces of bamboo root shanks? Probably something similar to this. Just for contrast, these are Japanese kiseru pipes where bamboo stems are the standard, but still show a great deal of variation. Frankly, I’m partial to the beast on top, just because it’s so different from the norm. I’m not sure that I’ve ever seen a pipe with a jade (?) mouthpiece before, but I like it! Definitely not a production line piece! It’s not new, but the patina and wear markings show that it has been much loved in it’s lifetime. 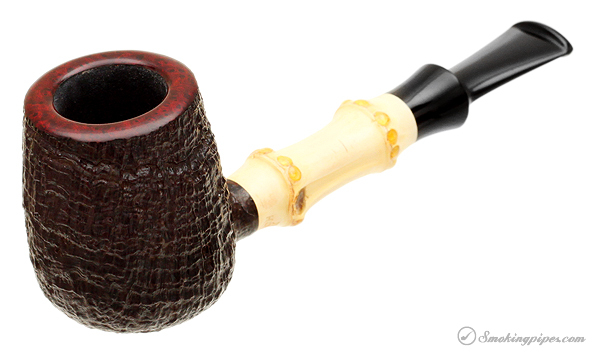 Here’s an Acorn shape with bamboo shank by Teddy Knudsen. 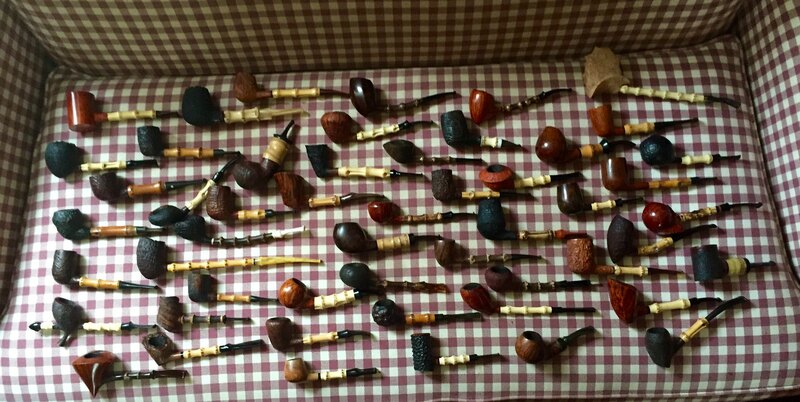 Finally a smattering of my bamboo shank pipes.